Meet Louise : Natural, relaxed and fun wedding photographer. Hiya! I am Louise but my people just call me Lou. I am a natural & relaxed wedding photographer from Liverpool. Ever since I could remember I have always had a camera in my hand. My photographs are the one thing that I will always take with me no matter where I am. If you were to ask me what is the one thing you couldn’t live without? It would be my pictures. They are my past, my present and my future. I want to take as many pictures of this life as I possible can. I love the thought of creating a lasting memory. 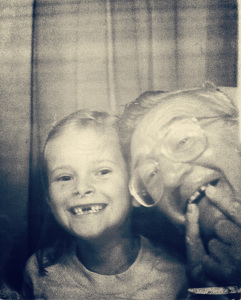 I have a picture of my Grandad and I, and we are in a photo booth when I was about 6 years old. I remember the day like it was yesterday.I remember the smell of him, what he was wearing, and how he was trying to make me feel better that day because I lost all my front teeth. I go back to that day every time I miss him and I get lost in the memory of the photo. This picture has been with me around the world, and will continue to be with me in every journey I take. I’m a lover of life and a lover of people, and these two combinations make some of the most fantastic pictures. My photography is creative, natural and fun. I want to tell your story including all the unscripted moments of your day. I want to make lasting memories of you and your life, and hopefully my photographs will be a part of your journey. I spend all my money on travelling. I have a tattoo of an airplane on my arm after backpacking all of South America. I love Elvis. What I mean is, I am obsessed with Elvis. I cant live without music. I cry at every wedding. I lived in Spain, Chicago, Florida, Singapore and the UK. The Minimalist Documentary changed my life. I quit my 9-5, travelled the world and became what a I truly wanted to be…a photographer. Go on…give a go! Check out what I get up to on my personal Instagram..